Rather than one of our typical mind-bending dialogues, here’s some very practical information. If you are actively or recently addicted, live in the U.S., and are low on funds, this may be of use. I see it as getting the most out of the “disease model”. Thanks to Ram Meyyappan for offering to post this to our community. Drug addiction can wreak havoc on an individual’s life and can often prevent an individual from working. What many people do not understand is that drug addiction is actually considered to be a disability by the Social Security Administration (SSA). If you are struggling with drug addiction or drug addiction recovery, you may be able to qualify for Social Security Disability benefits. Organic mental disorders, which will be evaluated under Section 12.02 of the Blue Book. Depressive syndrome, which will be evaluated under Section 12.04 of the Blue Book. Anxiety disorders, which will be evaluated under Section 12.06 of the Blue Book. Personality disorders, which will be evaluated under Section 12.08 of the Blue Book. Peripheral neuropathies, which will be evaluated under Section 11.14 of the Blue Book. Liver damage, which will be evaluated under Section 5.05 of the Blue Book. Gastritis, which will be evaluated under Section 5.00 of the Blue Book. Pancreatitis, which will be evaluated under Section 5.08 of the Blue Book. Seizures, which will be evaluated under Sections 11.02 or 11.03 of the Blue Book. You can apply for Social Security Disability benefits online (http://www.ssa.gov/pgm/disability.htm) or in person at your local Social Security office. When applying for benefits due to drug addiction, you will want to explain to the Social Security Administration how your drug addiction has resulted in one of the qualifying conditions in the Social Security Blue Book. For example, if your drug addiction has resulted in an irreversible personality disorder, you will want to provide the SSA with evidence documenting that you have been diagnosed with the associated personality disorder and proof of treatment. This means providing copies of your clinical records and treatment history. In addition to proving that you are disabled according to the SSA’s criteria when you apply for disability benefits, you will also need to prove that you meet the technical criteria. If you are applying for SSDI benefits, this means proving that you have earned enough work credits to qualify for the program. The SSA will determine if you have enough work credits to qualify when they pull your work history. For each year that you have worked, you will earn a maximum of four work credits. Depending on your age, a certain number of work credits will be needed to qualify for the SSDI program. If you do not have enough work credits to qualify for SSDI benefits, you may still be able to qualify for SSI benefits. SSI is a needs-based program. In addition to meeting the SSA’s disability criteria, you must also meet the program’s financial criteria. As of 2013, in order to qualify for SSI benefits you cannot earn more than $760 per month as an individual or $1,060 per month as a couple. Your household assets must also not exceed $2,000 as an individual or $3,000 as a couple. You will receive notice regarding the SSA’s decision of your disability claim within three to six months of the date of your application. If the SSA decides to deny your application, you have 60 days from the date of the denial notice to file an appeal. The first stage of appeals is a Request for Reconsideration. It takes approximately two to six months to complete this appeal. Unfortunately, most appeals are denied at this level. You have the best chance of overturning the SSA’s denial of your benefits during the second stage of the appeal process, the disability hearing. During the disability hearing you will have the chance to present evidence to an Administrative Law Judge (ALJ) and explain why you need disability benefits. It is in your best interest to hire a disability attorney or advocate prior to attending the disability hearing. Hi Marc, great post. I’ve often wondered how many folks managed obtaining SSDI for “addiction”. I have mixed feelings about receiving disability for addictive disorders. Addicts, often wanting the easier & softer way, may seek SSDI just to get out of working crap jobs for low wages as we often need to in early recovery. Then my inner hedonist, with her mission of “seek pleasure, avoid pain”, questions if this is actually a pretty crafty way to get through life! I think growing up in Ohio, with it’s ridiculous puritanical work ethic, has corrupted my ability to receive money that isn’t earned. Thanks for the information. Hope all is well with you! SSDI can be such a dead end for the recipient and almost always robs one of self worth. In my Utopian world there would be no exchange of money with an addict. Instead, there would be resources that provide food, comfort, relief, love, hope… medicine, training, skills. Never stop believing. Until then, we have each other. Thanks for all the work you do, Marc. And everyone who comes to this page. It helps. It would be nice to know what sums of money are involved. Whether receiving money for a disability–lets say, depression– robs one of self worth and motivation reminds me of debates in England, last century: Does supplying food to ‘sturdy beggars’ (physically healthy) rob them of incentive to work and corrupt their morals? Moral corruption of the poor through receiving government or community subsidy occurs even now, it’s said, because they get food stamps. These stamps prevent them from taking the crap jobs they need to strengthen their character. Then there’s unemployment insurance–these benefits, still, these days, are said to rob recipient person of the vital incentive to ‘go out and get a job.’ Low-level jobs–which some say are ‘crap’– go unfilled and these persons are robbed of a chance to self improve. You must prove physical neural damage or incapacitating (resultant? accompanying?) depression for example. My son contracted two very serious illnesses during his time as an IV drug user. When he was diagnosed as sick, he was finally eligible for medical care. Physical and psychological. At the urging of his excellent case workers at the clinic where he receives care, he applied for disability benefits. They helped him with the whole process and his application was denied. I was actually relieved to hear that because I didn’t want him to disappear into that way of living, either. Although this is all very difficult, the terrific news is that he does have access to free medicine and treatment and counseling and it’s working… His health is better. He has stopped using, and he has a part time job. And a small place to live that he has put together on his own. Whether we call addiction a disease or a choice, I believe the addict is suffering as profoundly as any medical patient and needs access to all care to get better. My son had to contract a known disease and get an actually medical diagnosis to finally get help. But he is getting help, and he is helping himself.Thank you for listening. We all need healing. Me, too. thanks marc great info. i may have to use it sometime…i don’t know if I will ever be able to find a job again with the scarlett letter of felon. why be treated worse than a dog doing something to which I haven’t much clue how to do but want very badly to do…construction. these people treat you less than a animal and talk to your like a mistreated dog. This is a prevalent concern in Canada too. Ultimately, we’ve come to a similar conclusion. It’s not so much claiming benefits for the addiction, but rather the consequences of addiction. Sadly, there are some horrible retributions people live with after spending years in an addictive state. Thanks for posting this. Nice writing. This is some really great information! Thank you for taking the time to write this. It is important to remember that you are never alone, and that there is always help out there. I personally live here at Boca House http://www.bocahouse.com/ and it has changed my life. I have been sober for 9 months now and I know that they have saved my life. Don’t give up, good luck! This is not the case. The SSA rescinded addiction as a legitimate avenue to receive benefits in 1984 (SSR 73-48: Section 1106 (42 U.S.C. 1306).—Confidentiality of Patient Records—Drug Abuse Office and Treatment Act of 1972). If you are an alcoholic or addict but have another illness unrelated to your addiction then you may qualify. If you win your claim for disability but the SSA believes you are still abusing alcohol or drugs, the SSA will require that you have a representative payee and will refer you to a substance abuse treatment program. The SSA will send your disability check to the representative payee, who is in charge of doling out money to you and paying bills for you, and preventing you from spending money on your addiction. The representative payee will be a healthcare professional or medical organization. Your representative payee can at any time notify the SSA of your continued use of alcohol and drugs for further evaluation. Clearly, the best and most obvious advice for such a person is to stop using drugs and alcohol. Finally, remember that those who are tempted to deceive Social Security about their ongoing drug or alcohol use often create more problems than they solve. Claimants who are caught lying to Social Security lose all credibility and rarely have successful claims. 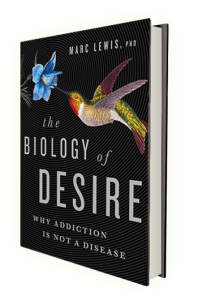 The more we learn about addiction as a brain disease, the more people will qualify. Whether or not an addict should recieve cash per say is another fight. But as a recovering addict myself I could have used disability early on so that I could attend more meetings and counseling without the fear of loosing my job. I went to many dr visits also and underwent treatment for hep c which left me tired and falling asleep. Unfortunately its not as easy to “just say no” it takes a lot to quit using and some help with money may have stopped a few of my relapses. Its a touchy subject. No two addicts are the same. I ment to say the more we learn abt addiction as a brain diaease the more ppl SHOULD (not will) qualify for ss disability. Not saying I disagree that drug addicts should qualify for benefits, but this idea that everyone with some sort of issue, no matter how self-inflicted, should be being paid by the United States government, offends and worries me slightly. I say that as a drug dependent individual currently in an Opioid replacement program. I do disagree outright with it though on the grounds that addiction and dependence are two different things. Drug addicts should not be receiving benefits, drug dependent individuals I can see having merit. I used to work in a grocery store and every ‘EBT’ day I’d watch swarms of people, many being unemployed despite the fact local businesses need employees so bad that they’re literally willing to pick them up right off the street. Anyway, I’d watch these swarms of people use EBT cards to purchase shopping carts full of frozen pizza, soda, and candy bars. Not every single EBT recepient did this obviously, but it was always way way too many of them. Knowing that my hard earned tax dollars are being spent in order for willfully unemployed (as well as unhealthy and often time obese) individuals to purchase dozens of boxes of overpriced frozen food (even frozen peanut butter and jelly sandwhiches FFS) soda, candy, expensive bottled water ect ect makes me angry. I had trouble getting on disability and I am physically disabled since birth. It is interesting to me how minorities can get it for a drug addiction. Minorities aren’t the only addicts.. But thanks for showing us how ignorant you truly are. True, addicts come in all colours and ethnicities. But there’s another issue: two wrongs don’t make a right. People need help for physical as well as psychological entrapments, and it would be nice if the political culture of the US spent a little more energy and money on helping and a lot less on incarcerating and institutionalizing. family and neighbors looked out for each other. Can you tell where this is going? Far to much dependency on our “government” is leading us toward socialism – not a good thing. Finally someone with my point of view. I was 14 worked babysitting brought home $$$$ to my single mom. Dad died of a drug overdose. and left us with nothing. We me,mom, and older sister had to work after school. I paid electric, my sister gas, and mom rent and food. We did depend on “The system for a bit of food ” but it was never traded for drugs. Nobody gets Disability for “addiction”. Most addiction is a symptom of other mental & physical health issues (skitzophrenia, Major Clinical Depression, Anxiety Disorder, severe bipolar, or physical pain issues). The addiction is merely a symptom of people generally “self medicating”, often because they neither have access to proper treatment for these other issues…. And aren’t aware of these other issues because they haven’t been diagnosed or educated on the topic. A lot of employers won’t hire me because criminal record from addiction. Then there are mental and physical diagnoses that limit job performance for jibs that may hire me. Frustrated and broke. Live in Motel. Boyfriend pays all. Except FS (194 for unemployed) Thank you US for those. My significant other pays for efficiency in Motel. Weekly. He works fulltime for 12.00/hr.Not enough to put down $2,500 for another place to live. The cono I rented four years was sold. If you read my earlier comment, I said I am applying for jobs and being turned down for work. My charges were 8 yrs ago. I’m not giving up. You’re a pretentious busy body. Just because someone is scrapping by and gets an efficiency room doesn’t mean they can meet the financial and paperwork requirements to get a mortgage or tent a regular apartment/house. I am a college graduate, not using, Career of 11 yrs gone. I own it. I am close to applying for disability. DX Gen Anxiety, Carpal Tunnel 14 yrs, Bilat heel pain undiagnosed and a rectal problem. No money/ ins for Drs. I own what I did…want to climb back up in world but employers won’t allow it. Times have changed! Drugs are mainstream! Some people use drugs and it ruins their lives. Most of us know this so we don’t do it or stop before it takes a hold of us. Some people need help. Government allows these drugs on the street! Government should be held a little responsible to get these people on their feet! So, it seems people have radically different views on the role of government assistance. I think governments do need to help. That is their principal function, to take care of their constituents where needed and where possible. That’s why we have police and firemen and hospitals, etc., and controls on pollution, traffic risks, and other harmful byproducts of modern life. Helping people who become addicted to drugs seems like the same ballpark, but it does not mean taking away choice or forcing narrow limits on people in general. Because, as you say, most of us can exert these controls ourselves…when they are needed. I see people that never worked or worked very little and i mean 38 years and only worked a year there whole life, get ssd. After being turned down at fist but still got it. And she was a heroin addict her whole life. Then they denie people that worked there whole life. Way to go nee jersey. This whole conversation really hits a nerve with me. Been a nurse for 30 years. Am 60 years old. And yes I worked before I became a nurse at minimum wage jobs. Just recently lost my job. Not because of drugs but I am in recovery for that. Have a multitude of things wrong with my back and was put on pain medication 12 years ago by my doctor. Became hooked on them. Now I have no income and no insurance. Cannot get any help from anywhere. I feel that I have more than paid my debt to society. And I know some people that are getting assistance that don’t have anything to keep them from working and this just burns me up! I don’t want anyone to give me anything but I do feel that I should qualify for something at least until I can get back on my feet!!! Ellen, you didn’t read. Do you have ADD hun?